16: It looks like it went viral. 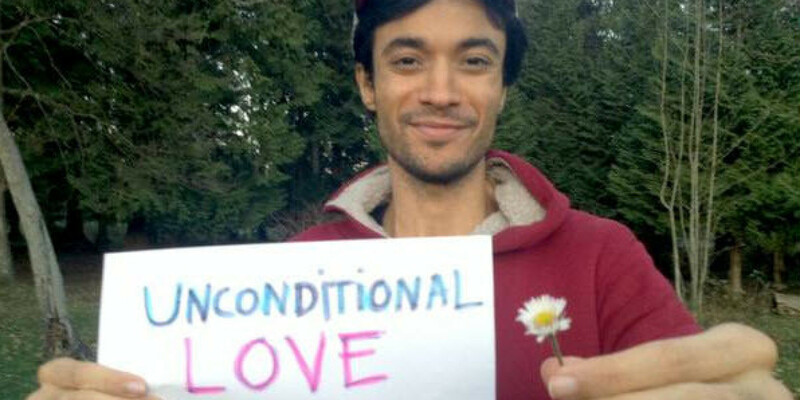 Here’s one of a few articles people emailed : “Craigslist Ad for ‘Unconditional Love’ Reaches Over 1 Million Views. I LOVE this beautiful man!!!!!! This is amazing! Please take the time to read this. Thx and happy Monday! Thank you so much for sharing this with all of us! Not enough likes in the world for this one. Thank you for sharing! Yep, another Reblog. I know, I know. But this one if just too amazing not to share. I’ve attempted to disable comments (think I succeeded), so make sure to head on over to the original post and comment there, if you please. Wow. Now that’s a paradigm shifter! beautiful words from clearly beautiful man, God bless you! Hi EveryOnes, This Blog and Its Concepts are Wonderful, (Spiritually) Revolutionary, Speak to/of my Own Heart’s Hope for Humanity, and Absolutely Deserve to be Re-Blogged. I’ll Add my Own US$0.00 (Zero) Unconditional Love Real Estate Sale to It, the only Change I’ll Add is that It’s not only our Planet that’s for “Sale”–Also Included are All Planets in our Solar System, Other Solar Systems in our Galaxy, Other Timelines, Other Dimensions, other Space/Time Continuums. All we must Do for “Purchasing,” is Send out Daily, Minute Thoughts of Pure, Unconditional Love–and Mean It! How? Apply The following Ingredients into Your Daily Mindset: “Express Unconditional Acceptance to your least-liked Person; Walk a Mile in the Shoes of Anyone Whom You find Yoursef Judging; Finally: Apply a Policy of Non-Interference, unless Specifically Asked for Help. I call these: “The Tripod Concept,” and for 25 yrs., have been striving to Apply them, in All Aspects, (albeit, many times failing miserably…). The Point is To Never Quit Striving Applying Unconditional Love in All your Interactions. After all, Isn’t this The Most Basic of All Human Needs? PS. The Same Applies to Business Dealings! Please, Lets Do Away with the: “It’s Just Business; you Understand…” awfull Excuse, once and for all (on this note an excellent book to Read is: “The Great Turning: From Empire to Earth Community,” by David C. Korten). My (Unconditional) Love To All!